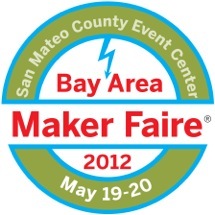 You heard it right: we are going to this year’s Maker Faire at San Mateo, California on May 19 & 20! We will be giving live demonstrations of the OpenSprinkler, AASaver, and two exciting upcoming open-source projects: OpenSprinkler Bee (battery-operated sprinkler controller), and SquareWear (a compact wearable electronics platform). If you are planning to go to Maker Faire, please make sure to drop by our booth (Maker # 7870). If you haven not decided, Maker Faire is a really fun event. You won’t regret it. So make your travel plan today!